Our Products are Safe for Children and Pet Friendly! Effective pest control that keeps the bugs away. 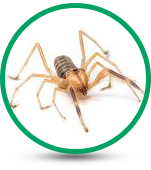 From Bark Scorpions to Silverfish, Ace Pest Control Las Vegas will keep your home bug free and that’s a guarantee, a De-Bug guarantee. 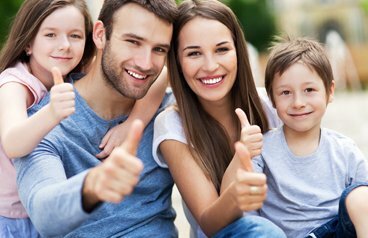 Our 39 years of exterminator experience have solved pest problems for thousands of Las Vegas residents and Summerlin community, many of which has stuck with Ace Pest Control and continue to live bug-free. 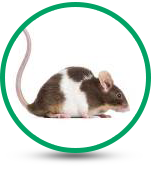 To continue our track record of quality residential pest control services, we put each technician through a rigorous training process that prepares them to become some of the top pest management technicians in the industry. Afterwards, we continue to uphold these professional standards through modern new products, techniques, and experienced leadership. Want more information about the kind of bugs you may have? Call us today at 702-871-1211, and we will gladly answer all your pest control questions and concerns. Ray is the owner and operator of Ace Pest Control. 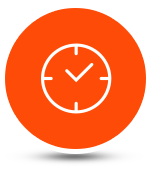 If you don’t have the time to call check out our Contact Us Page and send us a question. If you just want to read about bugs and some interesting facts check out our Blog Page. We are always here to help. 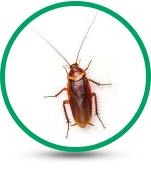 Call Ace Pest Control today for high-quality pest control services. 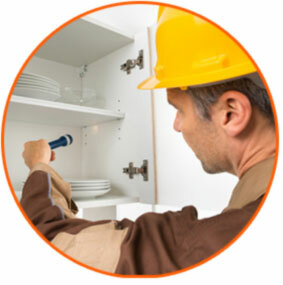 PEST CONTROL SERVICE IN LAS VEGAS NEVADA. 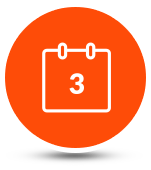 Our 35 years of experience and expertly trained techinicians will do whatever it takes to de-bug your home so you can live pest free, guaranteed. Call us today for a free estimate on getting your home debugged right away. A classic knee-jerk reaction when a six-legged critter runs across the kitchen floor is to call the local Pest Control expert. Whether it is one bug or a whole swarm sends even the fearless running for the phone number of the local exterminator is not uncommon. Then the actuality of living in an infested house in the Henderson Nevada area is unnerving. It can lead to sleepless nights listening for the sounds between the walls of the house or in the bed. A way to help with the extermination of the insects in the home, it is essential to identify them. It is important to note the insect’s color, body shape, the number of body segments, and legs of the insect. 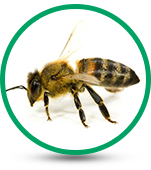 This is crucial to establishing a plan to eliminate and control the insect population on the premises. 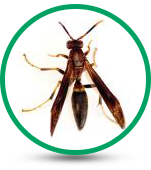 Ace Pest Control technicians are experts and know the details about these intrusive insects and can determine what tactics, and treatments will be required depending on the species found. Treatments to control bugs that react quickly on carpenter ants are always effective on American cockroaches, or even the bed bugs found in Henderson NV homes. 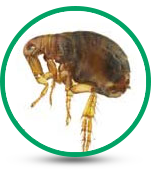 Ace Pest Control professionals will know where to look for parasites that affect the home and loved ones. 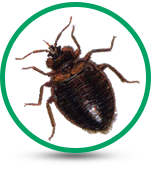 It is reasonable to have an expert come to inspect your home if you suspect that bed bugs have invaded your residence and require extermination. Finding these little bugs that are the size and shape of an apple seed has no reflection on the cleanliness of a home or property. These little brown bugs hitchhike their way into your residence. Bed bugs can easily hide in suitcases, or attach themselves to clothing. Hidden in the crevices of antique or used furniture or mattresses brought into your home, raises the risks of finding bed bugs in the home. It is not unusual for bed bugs to sleep all day in box springs and mattresses while spending the evenings biting at the skin and sucking the blood of their victims. 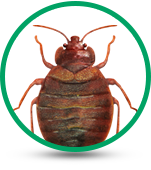 Ace Pest Control exterminators can locate these parasites to keep children and pets safe and protected from bed bug bites. Parasites carry disease and bacteria that can affect family members. Being exposed to these insects can cause severe illnesses if not exterminated. Most are just annoying, but many can cause severe medical reactions. 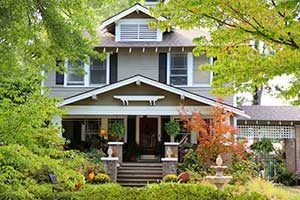 Working as a team, both the homeowner and exterminator can retain control of the bug population on your property and in your home. With periodic treatments, insects will not be able to set up housekeeping in the home. 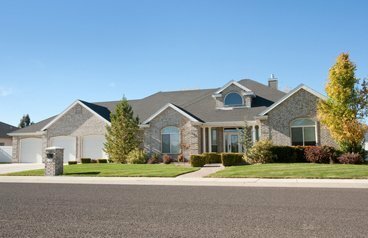 The homeowner can inspect his home and seal any cracks and crevices in the foundation, and walls. Insects are attracted to water sources for survival, so it is necessary to find any water leaks and fix them. Checking and repairing the seals around windows, entry doors, and garage doors will help to keep insects from finding their way into the home. 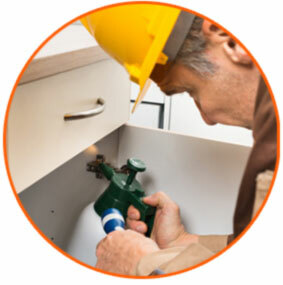 Double-check and repair the seals around cable wires and pipe fittings along the outside of the home and seal them from the elements and bugs. 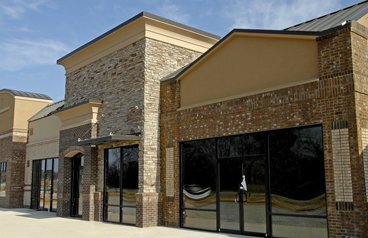 With a little attention to details along with regular extermination treatments from the experts at Ace Pest Control, your residence will be liberated from those irritating parasites. 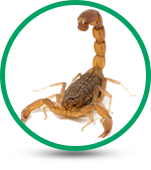 From rodents to scorpions contact Ace Pest Control today for a free quote. 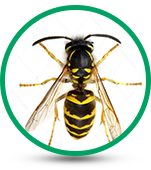 If you are in the Las Vegas & Henderson NV surrounding areas, call Ace Pest Control today for a free quote.